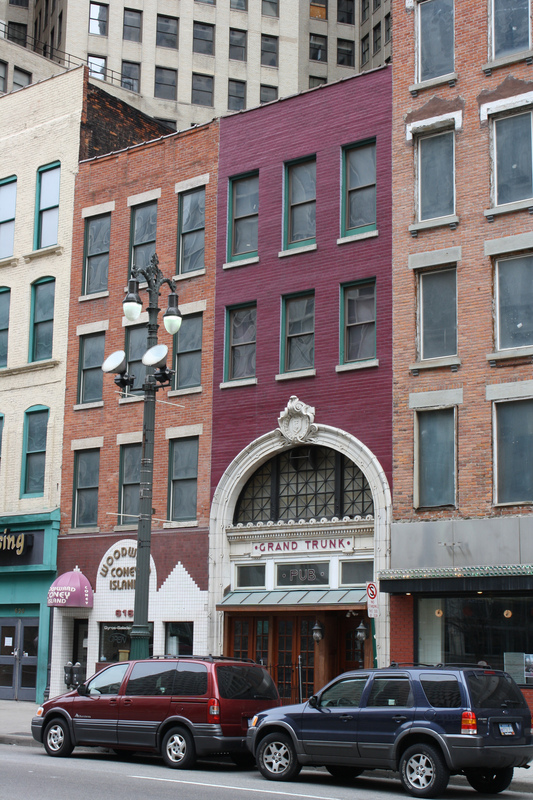 MARP members will gather on April 22 at the Grand Trunk Pub near the corner of Woodward and E. Congress in downtown Detroit. 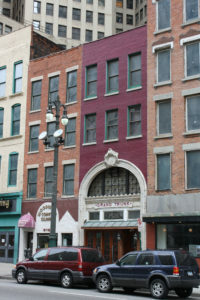 A thriving establishment in the heart of downtown, the Pub retains much of its character from the days when it served as the fairly elegant place where downtown commuters could purchase their tickets without the necessity of going to the station. Our speaker will be Nicole Brown, Community Relations Manager for M-1 Rail, host line of the Q-Line streetcar that will run on Woodward Ave immediately in front of the Pub. When this meeting was planned we had hoped that the new Q-Line streetcar would be in revenue service. That eagerly awaited event is now scheduled to take place on May 12. Please plan to stay on site after the meeting to enjoy the comestibles offered by the Pub and some conversation with your fellow MARPers. Check out the menu and the photos HERE. The 2Detroit Parking Structure is around the corner at 160 E Congress, but note that Congress is one-way, so you will have to go around the block to enter the garage from East Congress. If you have not been in the Motor City for a while, you likely will be surprised by the residential and commercial development that is happening along Woodward Avenue. A MARP “housekeeping” note: due to a mix-up with our P.O. Box in Okemos, some of you may have had your membership payments returned to you. The problem has been taken care of and you can re-send your payments to P.O. Box 1368, Okemos MI 48805-1368. We apologize for the inconvenience.